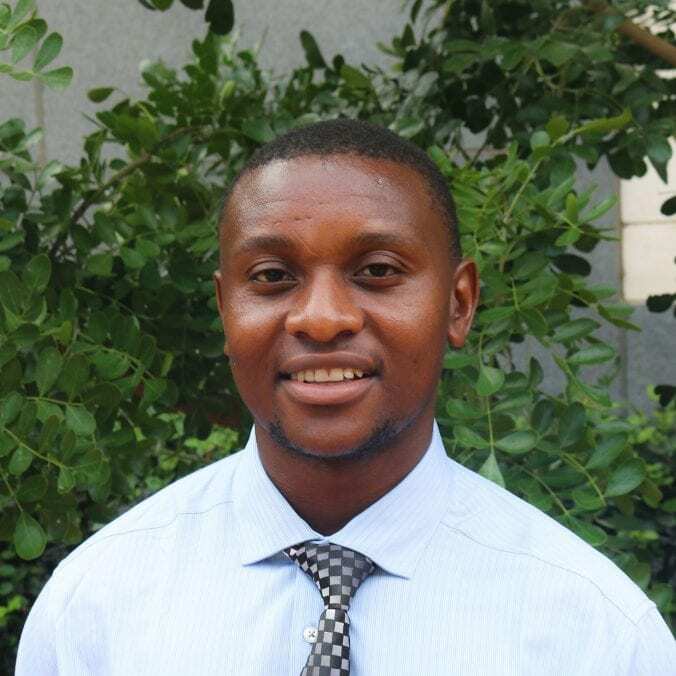 Duzi is a traditional Master in Professional Accounting student who is graduating this May. Let’s learn a bit more about him and his time here at Texas McCombs. 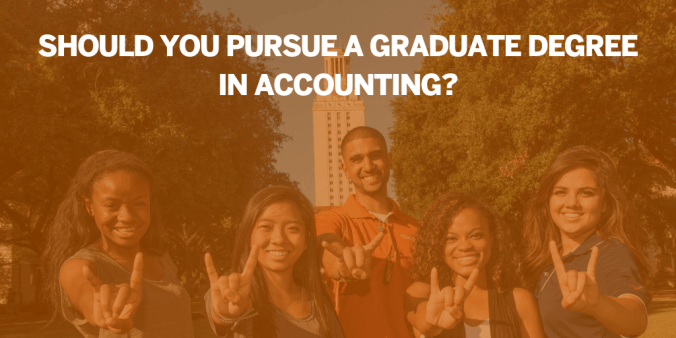 Why did you decide to come to the MPA program at Texas McCombs? It is the best accounting program in the country so couldn’t turn down the offer to come to school here! Also, Texas McCombs is in a great city like Austin with so many cool and fun things to do outside of school. So I would say I chose the program for its prestige and for its location. 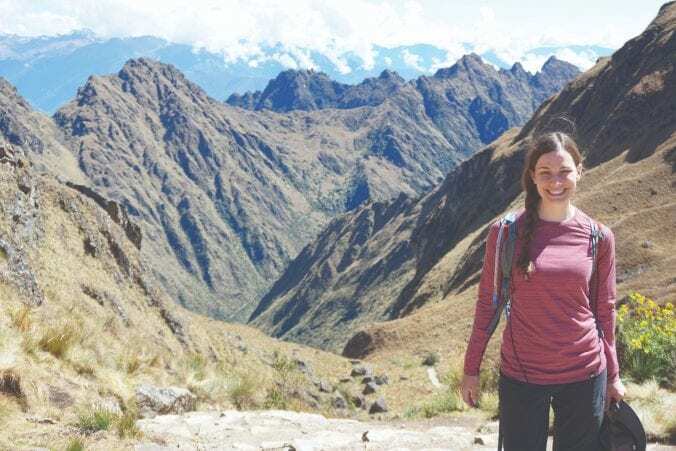 Why did you decide to become an MPA student ambassador? The MPA program has given me access to amazing opportunities professionally and socially so would love to give back in any way I can. What has been one of your favorite classes so far and why? Well, it’s so hard to choose one particular class because I have loved them all! I will say each professor is so different in their teaching styles and how they present information; it is a fun experience navigating all these different styles. I do have a two classes I just have to mention… The first being Professor Badolato’s Financial Statement Analysis (ACC 380K) course, which was high-paced and intense with so much information coming your way. I loved it because it was perhaps my most challenging class in that involved learning in a very different way compared to anything I had ever experienced before. I learned so much about Financial Statement Analysis (and about myself) which was awesome! My other favorite is Investment Theory (FIN 397) with Professor Brown. The information is so relevant and something I will apply to my life in future. The big takeaway from the class (at least for me) is the investment opportunities available if one is interested in passive investment and personal finance management. The class itself is also challenging but that is a common theme for most classes in the MPA program. Can you tell us more about the MPA intramural soccer teams you have played on? Oh yes! It was something that myself, Jeff Chen, and Tyler Wilford were thinking about when the spring semester started. In fact, we just wanted to play some form of intramural sport. Then I ran into Ray Lee (our Team Captain) at a Diversity and Inclusion talk, and he mentioned that he was trying to organize a team to play soccer but couldn’t find enough people. So we exchanged numbers, then I gave Ray Jeff and Tyler’s numbers and they went on to create the team (so all the credit of starting the team should go to me because I had all the contacts haha). But in all seriousness, it was just a way for us to get together as MPAs and do something outside of class. 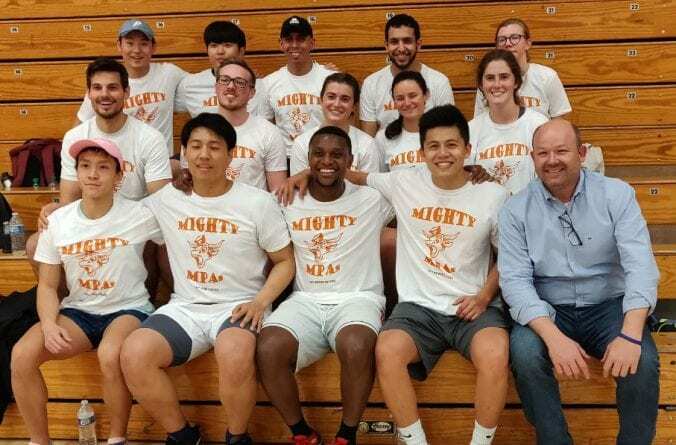 It turned out great because we have a couple of people who have played soccer before, so we were able to be competitive and make it to the playoffs for the men’s league (which we lost under dubious circumstances), but now we have a co-ed team with more MPAs and hopefully more success! Anything else you’d like to share? I would say that as important as the classes are, I have enjoyed meeting different people more than anything. The MPA program is very challenging and one can get extremely busy, but I think the most value I have received from the program is meeting new people and actually making meaningful connections outside of the conventional “networking.” It’s important to keep that in mind for anyone looking to join the MPA program. The Mighty MPAs smile for a team photo with Steve Smith, Senior Director of the MPA program. Duzi Mugoba is pictured in the bottom row, third from the left. This award recognizes those who scored a cumulative average score above 95.50 across all four sections of the CPA exam, passed all four sections of the exam on their first attempt, and completed their testing in 2018. Over 86,000 individuals sat for the CPA exam in 2018. 78% of Texas McCombs students who took the CPA exam in 2018 passed all four sections; this compares to a 52% pass rate among all over Texas colleges and universities. Congratulations to Natalie, Elise, and Minjae, as well as the other 107 winners — it’s an tremendous accomplishment to receive this award! See a list of all the winners here. 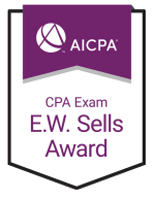 The Elijah Watt Sells Award was established in 1923 to honor one of the country’s first CPAs, Elijah Watt Sells. He was a founding partner of Haskins & Sells (a predecessor to Deloitte) and one of the first practicing CPAs in New York. 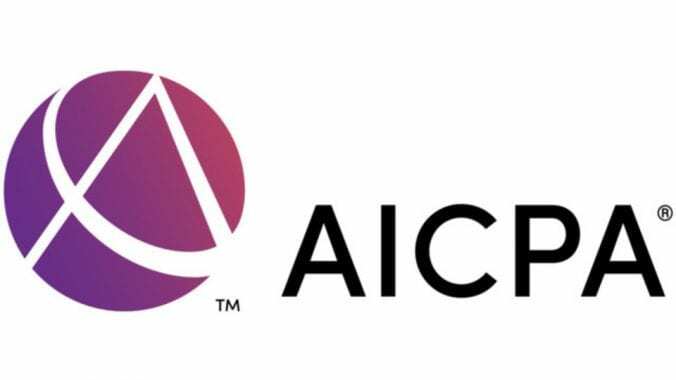 He also served on the AICPA governing council and helped turn the AICPA into what it is today. The Mighty MPAs smile for a team photo with Steve Smith, Senior Director of the MPA program. The Mighty MPAs played their first game last Thursday and won 2-1 (but they said it should have been 3-1)! Games are played Thursday evenings, and the goal is to win their league to get their name up on the wall in Gregory Gym! Nathan Sharp coauthored “Inside the ‘Black Box’ of Sell-Side Financial Analysts” with Lawrence Brown, Andrew Call, and our very own Department Chair, Michael Clement. The FARS (AAA) recently selected that paper as the best financial accounting paper published in the last five years. Nate sat down and chatted with us about life post-Texas McCombs, working at Texas A&M, researching with Michael Clement, and much more. 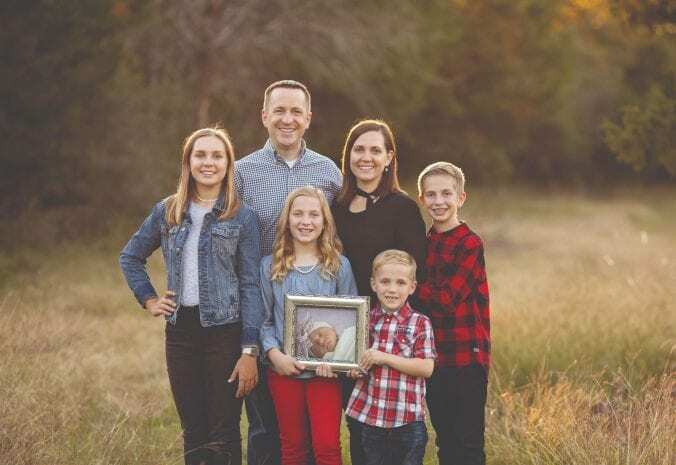 He is pictured with his wife (Holly), daughters (Kennedy, London, and Kate), and sons (Jackson and Austin) in the fall of 2018. We are quickly approaching the final March 31 application deadline! 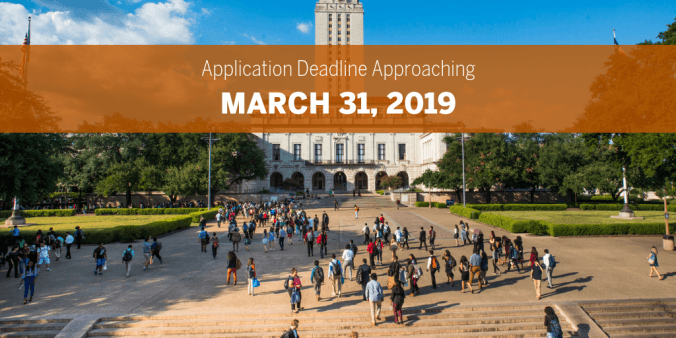 If you plan to apply to the Texas McCombs MPA for fall 2019, you must submit your online application no later than 11:59 p.m. CDT on Sunday, March 31. Also, submit the additional application materials as soon as possible because space in our incoming class is limited. We will review your application after we receive all of the required application materials. Please note that it will take about 3 weeks for your official GMAT scores to be sent, received, and added to your UT application record. If your official scores are not on record by March 31, send Keri Ledezma a copy of your unofficial score report, in the meantime. Contact Keri if you have any updates, questions or concerns about your application. We look forward to receiving your application soon! Brian White is a member of our Department of Accounting faculty and was recently promoted to Associate Professor, effective September 1, 2018. He teaches some of the accounting MBA courses here at Texas McCombs, so you may see him in some of your electives in the near future! Ann Arbor, Michigan is where I was born and lived for most of my childhood. However, my wife’s hometown of Liverpool, England is my adopted hometown. I lived in Liverpool for ten years, our three kids were born there, and we go back at least two or three times every year. Necessity is the mother of invention. My wife and I bought her family business—a small chain of retail stores based in Liverpool—from her grandparents when we were both 24 years old. She had grown up in the business and I had worked as a retail manager in high school and college, but neither of us had any experience running a business. We divided up the duties, and accounting was one of mine. I quickly decided that I needed some more training, so I applied to the evening MBA program at Manchester Business School. While I was there, I focused on accounting and finance because it was so relevant to what I was doing every day at work: tracking and reporting revenues and expenses, designing compensation plans for our employees, managing the annual audit (which was required for nearly all UK companies back then), etc. I also found I was pretty good at accounting, and it was interesting. Ultimately, I ended up becoming a CPA. When I decided to pursue an academic career, a PhD in accounting was the natural choice. WHY DID YOU CHOOSE TO WORK AT UT? The combination of our incredible students, world-class faculty, and the city of Austin made it a very easy choice. WHAT CLASSES DO YOU CURRENTLY TEACH? I teach the core financial accounting class to all of our incoming full-time MBA students. I also teach the same course in our Houston MBA program. Next fall, I’m looking forward to teaching the PhD seminar on behavioral research in accounting for the first time. FAVORITE PUBLICATION THAT YOU’VE WRITTEN? That’s like asking me to choose between my children! If I have to choose, I will go with a paper that I published with Shana Clor-Proell (from TCU) and my Texas McCombs colleague Lisa Koonce. The paper is titled, “How do experienced users evaluate hybrid financial instruments?” It was published in the Journal of Accounting Research in 2016. Hybrids—financial instruments that have characteristics of both debt and equity—are a tricky issue in accounting because it is difficult to know how to classify them on the balance sheet. In the paper, we find that experienced finance professionals rely primarily on disclosed features of hybrid financial instruments, rather than their classification, suggesting that accounting standard setters may want to focus on disclosure. It’s been a fun paper in part because we have had the opportunity to discuss it with board members at the FASB and IASB. ON THE OTHER HAND… FAVORITE PUBLICATION THAT YOU’VE READ? That’s a tough one too! I’m going to go with Jeffrey Hales’ 2007 paper, “Directional preferences, information processing, and investors’ forecasts of earnings,” published in the Journal of Accounting Research. That was the paper that convinced me I wanted to do behavioral research in financial accounting. 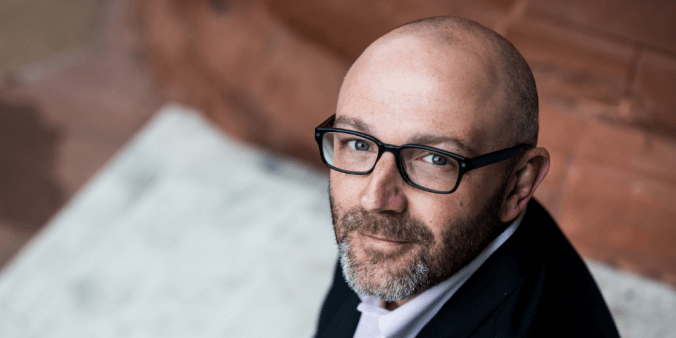 Jeff shows that simply holding stock in a company can change investors’ beliefs about the company’s future performance via a cognitive process known as motivated reasoning. WHAT IS SOMETHING THAT MANY PEOPLE DO NOT KNOW ABOUT YOU? I played the bass guitar in a number of different bands in high school and college. Maybe even more unbelievable is that at the same time I had long, curly hair! U.S. News and World Report came out this week with its annual Best Business School rankings, and the Department of Accounting at Texas McCombs topped the list at No. 1 for the 13th straight year! We are very fortunate to have such an phenomenal group of students, faculty, staff, and alumni who continue to make the Department of Accounting the best in the world. Read the summary of the rankings below, including the Texas McCombs MBA program coming in at No. 19, or on Texas McCombs News. The Texas McCombs MBA hit No. 19 for the full-time MBA and No. 8 for working professionals. Three of the school’s business specialties were among the ranking’s top 10. Landing at No. 19, the Texas McCombs Full-Time MBA Program maintained its venerable top-20 position in the 2020 edition of U.S. News & World Report ’s survey of the nation’s best graduate schools of business. The Texas McCombs MBA has counted itself among the top 20 programs in 27 of the past 28 years. Among public schools, McCombs and the University of North Carolina tied for fifth place, behind the University of California, Berkeley (6, tied), University of Michigan (10), University of Virginia (12, tied), and UCLA (16). In the best part-time MBA rankings, McCombs placed at No. 8. 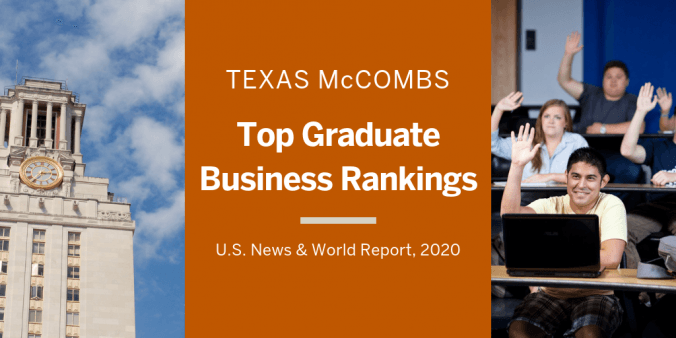 The working professional MBA programs at McCombs, which include the Texas Evening MBA, the Texas MBA at Houston, and the Texas MBA at Dallas/Fort Worth, have held top 10 status for the past 10 years. 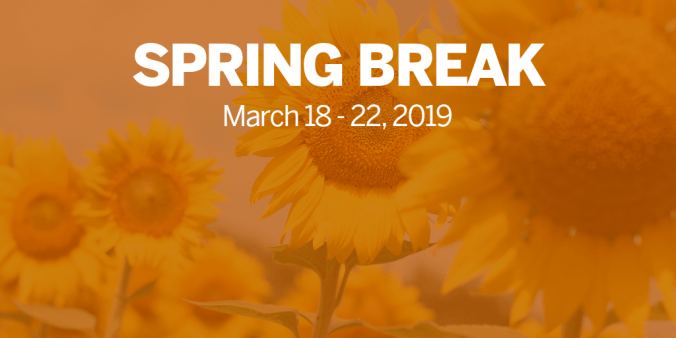 The University of Texas at Austin will have a spring break next week (March 18 – 22). The university offices, including the MPA Program Office, will remain open, but classes will not be in session. Also, don’t forget that Daylight Saving Time begins for most of the U.S. and many parts of the world on Sunday, March 10! Read more updates from the Department of Accounting in the fall issue of The Accounting Times.